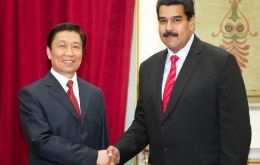 Chinese Vice President Li Yuanchao on Tuesday asked the Venezuelan government for efficiency in managing an agro-industrial plant it has begun building near Caracas with a 52 million dollars investment from Beijing. Venezuela in 2012 became a net importer of gasoline as a result of escalating problems at its refineries and increasing demand for fuel in its internal market, joining a growing list of countries that struggle with fuel supplies despite ample oil reserves. 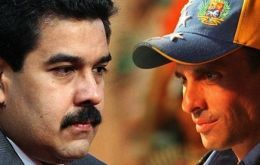 Venezuelan president Nicolas Maduro said he is prepared for political dialogue with the leader of the opposition Henrique Capriles to ensure peace in the country, even if it means “talking to the devil”. He also warned that United States must “give a huge leap forward” if relations as equals are to be advanced between Caracas and Washington. 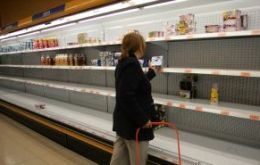 President Nicolas Maduro accused Lorenzo Mendoza, owner of Empresas Polar SA, Venezuela’s largest privately held company, of reducing food production and creating shortages amid record scarcity and the region’s fastest inflation close to 30%. 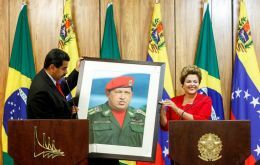 Venezuelan President Nicolas Maduro got strong backing from regional heavyweight Brazil on a tour of Mercosur allies to cement his legitimacy as political heir to the late Hugo Chavez. 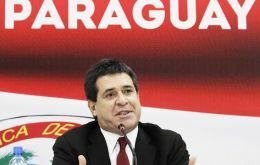 Paraguayan president elect Horacio Cartes transition team said that Venezuela should be present at the inauguration ceremony of the new head of state scheduled for 15 August, despite the ‘current circumstances’ of bilateral relations. 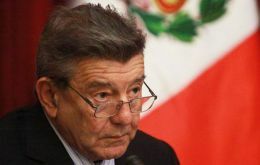 Peru which currently holds the chair of Unasur, Union of South American Nations is promoting a new meeting of country members’ heads of state to address the political situation in Venezuela, Foreign minister Rafael Roncagliolo said on Thursday. 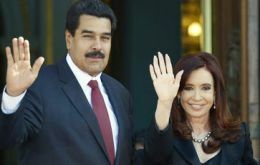 President Nicolas Maduro said he was a ‘Kirchnerite president’ and the ‘second Peronist president’ of Venezuela during a political rally with Argentine trade unions and militant groups in a packed Buenos Aires stadium to recall the figures of the deceased Hugo Chavez and Nestor Kirchner. President Nicolas Maduro promised his Uruguayan counterpart Jose Mujica a “permanent” supply of petroleum from oil-rich Venezuela during the first leg of his visit to Mercosur member countries. 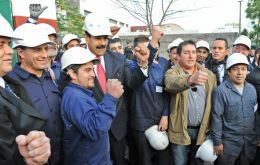 Maduro also announced the signing of a strategic alliance in the energy sector with Uruguay. 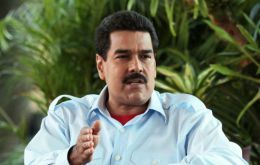 Venezuelan president Nicolas Maduro begins next Tuesday an official one visit to Uruguay when he will be meeting with head of state Jose Mujica and former president Tabare Vazquez.On Wednesday he plans to fly to Argentina and the following day, Brazil.